A new course add-on option adds short-term travel to international, online collaboration — helping more students to have rich global learning experiences, at home and abroad. 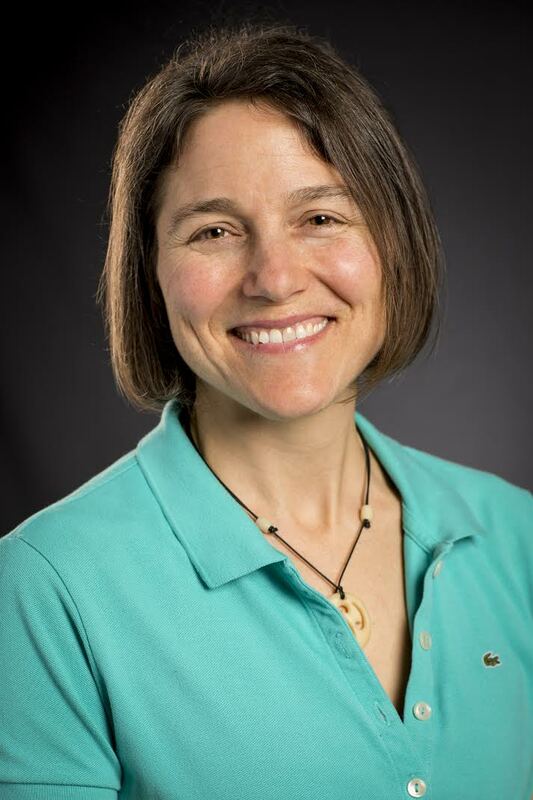 Kristi Straus, lecturer in the College of the Environment, knew that her students could learn an enormous amount about sustainability issues if they could place them in more global context. But traditional study abroad programs aren’t always feasible, or accessible, for many students. So when Straus was approached by the Academic & Student Affairs in Fall 2017 to design and pilot a new “global flip” course model, she jumped at the chance to add a short-term study abroad option to her introductory course on sustainability. Straus partnered with professors at Tsinghua University in Beijing to design an international — and internationally collaborative — component to her ENVIR 239 Sustainability: Personal Choices, Broad Impacts course. The 15 students who enrolled in the “global flip” option (of 80 total students in the course) worked alongside their peers in China to tackle real environmental issues in both countries — first online, then in-person — without the time or cost of traditional study abroad. Straus had long practiced the “flipped classroom”: in which students study course content outside of class via recorded lecture or course texts, and do more active learning during class time. The idea — increasingly popular nationwide — is that “flipping” makes best use of learning time, as instructors can support students through the more applied learning activities in the classroom. A “global flip” course combines a flipped classroom with Collaborative Online International Learning (COIL). Sometimes called “virtual exchange,” COIL refers to any method that uses technology to bring global experiences into classrooms or curricula. In COIL courses, faculty in different nations loosely sync their curricula so that students collaborate on projects in international groups. In Straus’ course, “flipping” a COIL course meant that students read materials and watched lectures outside of class; during class, they worked collaboratively amongst themselves and with their Tsinghua peers. Throughout the course, students on both campuses connected online — via WeChat, online discussion boards and video conferencing — to think critically about how personal choices affect social, economic and environmental sustainability. They shared their experiences with assignments and activities, and compared sustainability issues, policies and cultural norms in the U.S. and China. In addition, the “global flip” includes short-term study abroad — adding travel and on-the-ground applied learning to the experience. At the end of the term, during exams week, the UW students traveled to Beijing for 10 days. Together with their Tsinghua peers, UW students attended lectures, went on field trips and collaborated on course projects. They saw Chinese sustainability efforts at work through field trips to industry and government labs, and vast solar and wind farms. They also explored Beijing, including the Great Wall and the Forbidden City, to learn about Chinese culture and history, and to think about how cultural and political norms influence sustainability. A short-term study abroad allows more students to access immersive international experiences. The cost of going abroad is much lower than a full-quarter program, and students with tight timelines to graduation or restrictive course requirements in their majors can more easily manage the travel schedule. For UW students, says Straus, there is enormous value in having cross-cultural conversations around pressing global challenges, including sustainability — whether those conversations take place online or in person. Students not only learn about another nation’s sustainability issues and policies, but they learn that sustainability has everything to do with cultural norms and ways of thinking about the environment. Straus emphasizes that the diversity among both UW students and Tsinghua students enhanced everyone’s learning experience as well. About half of her 15 UW students were international students from China — and many of the Tsinghua students were international students as well, from Spain, Brazil, Hong Kong and elsewhere. 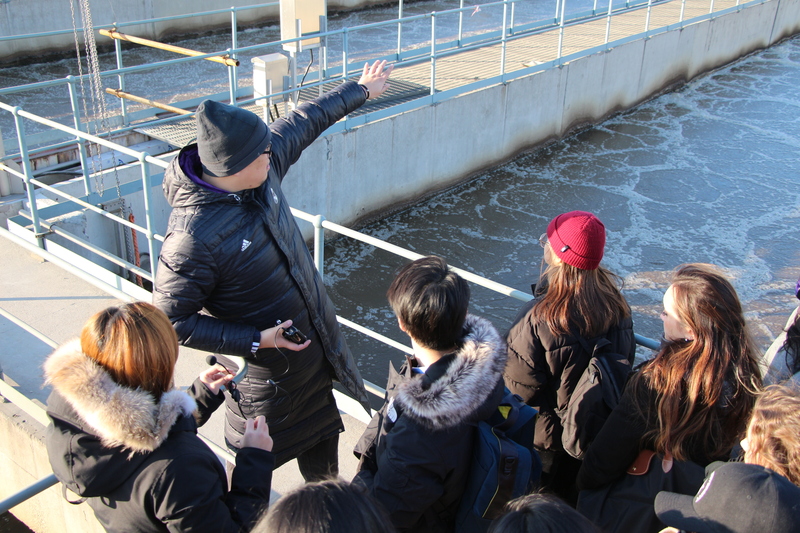 For the UW Chinese international students, the course offered an opportunity to work with scholars at the prestigious Tsinghua, and to learn about environmental sectors in China where they might return to work after college. For all students at both universities, international and domestic students alike offered distinct insights around relationships between sustainability and culture. This highly transferable model is inspiring others, across disciplines. UW instructors in departments ranging from English and Philosophy to Oceanography are currently seeking partners in countries around the world to teach global flip classes of their own. Proposed courses include titles such as PHILOSOPHY 149: Existentialism and Film and ENVIRONMENT 300: Diversity and Ecology of Coral Reefs. Sync schedules carefully. Syncing courses across nations means accounting for different scheduling challenges, such as time differences. But it also means making sure that academic calendars can be coordinated. In addition, advance planning is needed to make sure that assignments follow similar sequences, and that topics are introduced at a similar pace. Set clear expectations for all partners. From the start, communicate with partner instructors to make sure expectations are clear for all sides (for example, what will collaboration look like? For students? For instructors?). Keep lines of communication open, and check in with partner instructors regularly. Recruit early (and everywhere). A mix of student disciplinary backgrounds, and of international and domestic students, brings diverse perspectives and adds to everyone’s experience, says Straus. Make use of advisors and reach out to specific schools and colleges to recruit a wide range of students. Students can also be encouraged to apply for scholarships through the Office of Global Affairs — which can often cover the full cost of short-term study abroad. Choose tools strategically. Decide what COIL platforms will be easy and accessible for students on all campuses to use. Also, get help from UW Academic Technologies, who Straus says were an enormous help in navigating the complex challenges of the Chinese firewall. Watch the global flipped classroom video on YouTube. UW Study Abroad partners with faculty to develop, plan and run programs on programmatic, logistical, and health and safety fronts. UW Bothell COIL Initiative: A fellowship program to support faculty and staff across UW’s three campuses to establish online international collaborations. UW Tacoma COIL Fellows Program: A fellowship program that links UW courses with courses in different countries through real-time and asynchronous technologies. Global Innovation Fund: A fund to provide initial support for initiatives and programs that enhance the UW’s global engagement and reach. The Center for Teaching and Learning and Academic Technologies offer support for global teaching collaborations.